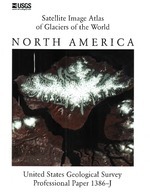 Where are glaciers found in continental North America? Glaciers exist in both the United States and Canada. 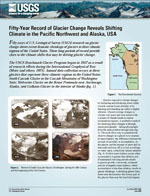 Most U.S. glaciers are in Alaska; others can be found in Washington, Oregon, California, Montana, Wyoming, Colorado, and Nevada (Wheeler Peak Glacier in Great Basin National Park). Reputedly, Utah’s Timpanogos Glacier is now a rock glacier (in which the ice is hidden by rocks), and Idaho’s Otto Glacier has melted away. Canada has glaciers in Alberta, British Columbia, Yukon Territory, and Nunavut. Which mountain in the conterminous U.S. has the most glaciers? How old is glacier ice? How many glaciers currently exist in Alaska? Is glacier ice a type of rock? Why is glacier ice blue? Because the red (long wavelengths) part of white light is absorbed by ice and the blue (short wavelengths) light is transmitted and scattered. The longer the path light travels in ice, the more blue it appears. What are the impacts of glacier loss, other than losing an aesthetic landscape feature? What is a Benchmark Glacier? “ Benchmark Glacier ” refers to four North American glaciers that have been selected for long-term glacier monitoring that investigates climate, glacier geometry, glacier mass balance, glacier motion, and stream runoff. They are Gulkana Glacier and Wolverine Glacier in Alaska, South Cascade Glacier in Washington, and Sperry Glacier in Montana. Is there a size criterion for a glacier? While there is no global standard for what size a body of ice must be to be considered a glacier, USGS scientists in Glacier National Park use the commonly accepted guideline of 0.1 square kilometers (about 25 acres) as the minimum size of a glacier. Below this size, ice is generally stagnant and does not have enough mass to move. 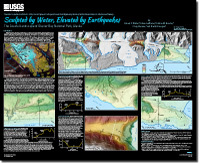 Witter, R.C., LeWinter, A., Bender, A., Glennie, C., and Finnegan, D., 2017, Sculpted by water, elevated by earthquakes—The coastal landscape of Glacier Bay National Park, Alaska: U.S. Geological Survey General Information Product 177, https://doi.org/10.3133/gip177. 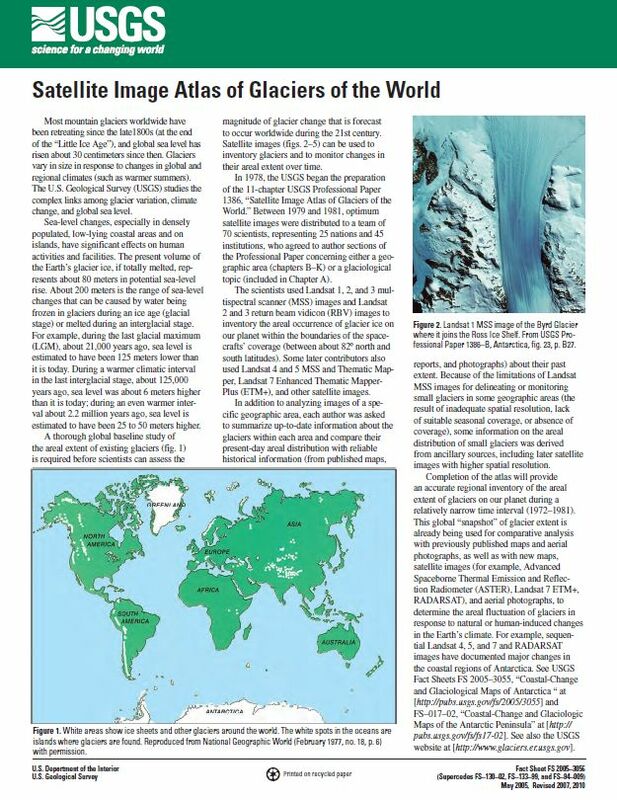 Williams, Richard S.; Ferrigno, Jane G.; Williams, Richard S.; Ferrigno, Jane G.
State of the Earth’s cryosphere at the beginning of the 21st century -- Glaciers, global snow cover, floating ice, and permafrost and periglacial environments: Chapter A in Satellite image atlas of glaciers of the world; 2012; PP; 1386-A; Satellite image atlas of glaciers of the world (PP 1386); Edited by Williams, Richard S., Jr.; Ferrigno, Jane G.
Kennedy, Ben W.; Trabant, Dennis C.; Mayo, Lawrence R.
A Century of Retreat at Portage Glacier, South-Central Alaska; 2006; FS; 2006-3141; Kennedy, Ben W.; Trabant, Dennis C.; Mayo, Lawrence R.
Williams, Richard S.; Ferrigno, Jane G.
Satellite Image Atlas of Glaciers of the World; 2005; FS; 2005-3056; Williams, Richard S., Jr.; Ferrigno, Jane G.
Satellite image atlas of glaciers of the world -- North America; 2002; PP; 1386-J; USGS NUMBERED SERIES; Satellite Image Atlas of Glaciers of the World; edited by Williams, Richard S., Jr.; Ferrigno, Jane G.
Satellite image atlas of glaciers of the world; 1988; PP; 1386; Edited by Williams, Richard S., Jr.; Ferrigno, Jane G.
ANCHORAGE, Alaska — This year marks the 50th anniversary of one of the longest continuous glacier research efforts in North America. 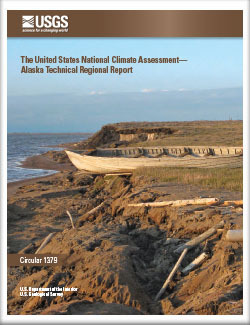 ANCHORAGE, Alaska Melting glaciers are not just impacting sea level, they are also affecting the flow of organic carbon to the world’s oceans, according to new research that provides the first ever global-scale estimates for the storage and release of organic carbon from glaciers. TACOMA, Wash. — Washington’s only “benchmark” glacier continues to lose mass as a result of changes in climate, according to a report by the U.S. Geological Survey. Interactions between glaciers, bedrock, and surface debris on the Gilkey Glacier, Juneau Icefield, Alaska. Glacier Numerology – The how big, how long, how thick, how much, how often, of glacier science. Glacier Photography – While a picture may be worth a thousand words, a collection of images may tell a complete forensic story. Glacier Geophysics – How new technologies are being introduced to reexamine and refine decades old glacier analyses. A view of Glacier Bay National Park, taken on September 13, 2015. Credit: USGS/NASA Landsat Program. View of Glacier Bay National Park from the air. Map of Glaciers in Glacier NP. Alaska US Topo map sample image of contours over Chedotlothna Glacier in Denali National Park and Preserve. Mapping the glacier's edge in Glacier National Park. Monitoring glaciers in Glacier National Park. 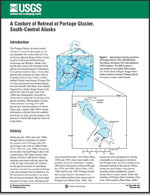 Present-day tidewater glaciers of south-central Alaska can be found in Prince William Sound and southern Kenai Peninsula. Icebergs form as portions of the glacier terminus collapses. Modern tidewater glaciers in Alaska are very small in comparison with massive glaciers that reached the sea during full glacial time.